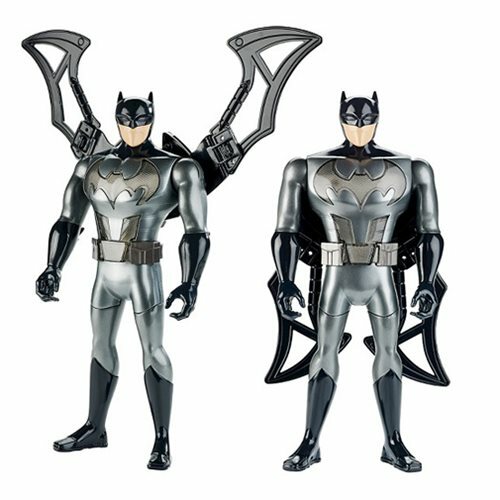 Experience Justice League Action with this deluxe 12-inch Batman figure! Watch Batman's cape transform into massive wings when you squeeze his legs. For more action, press his chest and watch it light up and play signature sounds. Save Gotham with this Justice League Action Battle Batman 12-Inch Action Figure. Requires 3x "AG13" button cell battery, included. Colors and decorations may vary. Ages 4 and up. Justice League Flash SH Figuarts Action Figure P-Bandai Ex.